This is the third and final chapter of my SMMT Test Day experience, and what better way to end it than with one of the finest brands to ever be born on this small isle. Aston Martin. The Vantage is starting to get a bit long in the tooth now, it has been around for 13 years now with very little changing on the outside, but that really is not a terrible thing. 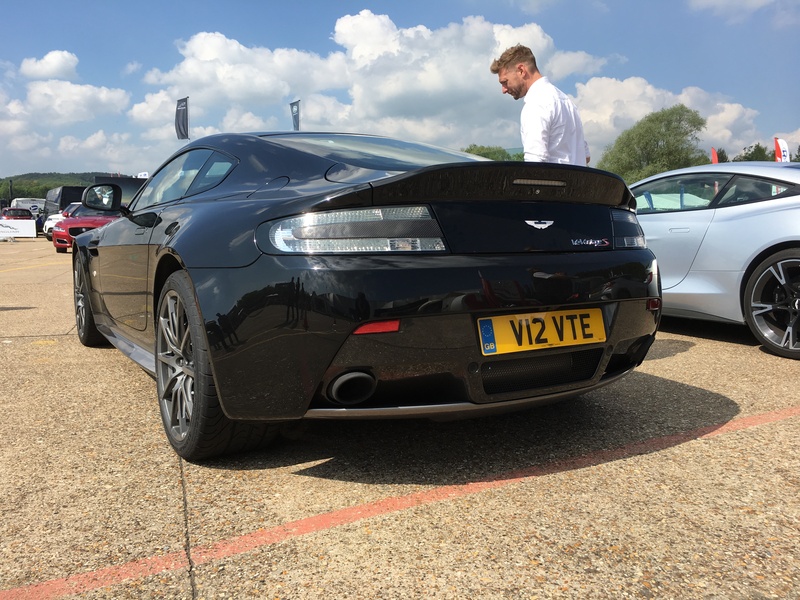 The Vantage silhouette is as gorgeous now as it was back in 2005, and the vented bonnet of the V12 model only makes it more attractive. I have never driven an Aston Martin before, but if you’re going to lose your AM virginity, you may as well do it properly. The V12 Vantage S Manual is epitome of driver-focused motoring. A big and brash 5.9 litre V12 engine at the front producing 565bhp at 6750rpm and 457lb ft at 5750rpm with all the power going to the rear wheels and a 7 speed, dog-legged manual gearbox. All of this is carefully shoe-horned into that simply stunning body and the result is perfect. As you get in to the Vantage, there have been some updates and upgrades to the interior but it is still very typical Aston Martin. The roof is suede lined and the seats are a soft black leather with white stitching – which extends all the way around the hand stitched dashboard. The centre console is carbon fibre and to be honest some of the buttons are a bit fiddly, but it looks good. Stylish and minimalist and it all gives you a sense that you are in a very special piece of machinery. 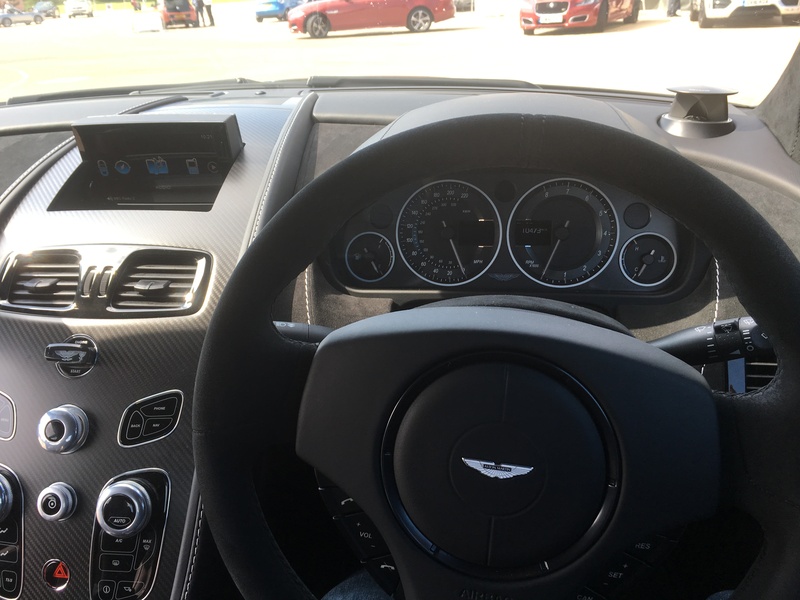 The driving position is one of the best I have experienced, you sit low to the ground with your legs and feet at about the same height, and you have a lovely suede stitched steering wheel right in front of you and as you look out of the windscreen the bonnet bulges in your line of sight. The start-up process is now a little old fashioned for a 2017 car, and to be honest a bit gimmicky, but it works for me! You slot the crystal cut key into the dash and then push. Not quite as modern as the keyless systems in Ferraris, Bentleys, Lamborghinis etc… but I am sure that if I was doing every weekend, it would not get old. Once the fob is pressed, the starter motor starts to crank and before you know it the V12 heart roars into action. It’s a sound that sends a slight shiver up your spine, one that makes the hairs on the back of your neck stand on end, it is pure aural pleasure, and in this day and age, a rare one. The verdict – It is a big thumbs up from me. I am that this was my first Aston, as this is a special one. 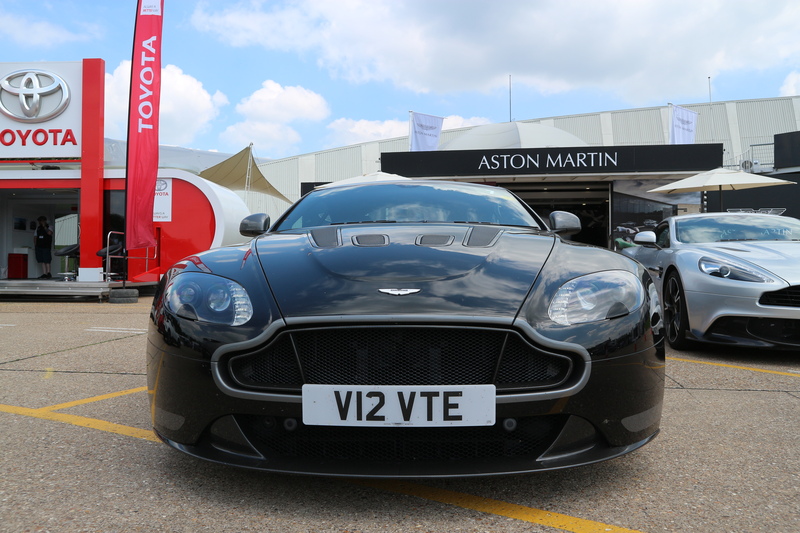 The V12 Vantage S marks an end of an era for Aston Martin, and this may well be the last of its kind. Manufacturers are dropping manual boxes and large displacement V12 engines for more efficient, greener turbo charged units. I am not going to launch a campaign against this, I believe that we need to be more environmentally conscious than ever and the automotive industry plays a huge part in global emissions, but I will still be sad to see the day when these truly wonderful sounding beasts are no longer in production. Cars like the new 488 GTB are great pieces of modern engineering with performance numbers that just weren’t possible 20 years ago, but I will miss that sound and that history, AM have been using naturally aspirated V12’s in their cars for decades. The V12 Vantage S Manual is the last of the true analogue cars in a very digital world.